Try to consume Vitamin K rich foods. Vitamin K helps blood platelets increase in number and strength. When the body starts bleeding, blood platelets, along with Vitamin K and some other minerals cause clotting, which can save your live. A deficiency in vitamin K reduces the ability of blood to form blood clots. Kale, spinach(palak), parsley(Ajwain Kharasani ), dried basil, Romaine lettuce, broccoli, asparagus, green beans, tomatoes, celery, black pepper, carrots(gajar), bell peppers, kidney beans, strawberries and pomegranate are excellent sources of Vitamin K.
Vitamin C Rich foods increase production of blood platelets and enhances the effectiveness of your immune system.Eating citrus fruit is one of the best sources of Vitamin C.
Orange, lemon, lime, grapefruit, strawberries, pomegranate and mangoes are best sources of Vitamin C. Besides fruits some vegetables including broccoli, brussel sprouts, cabbage, kale, spinach(palak), and bell peppers are good sources of Vitamin C.
Whole grain foods are beneficial for increasing platelet count. Foods that increase platelet count are whole wheat products, oats and brown rice. Eating brown rice instead of white rice helps you boost the nutritional value of the rice, which helps keep your blood platelets high. Red Fruits like plums, cherries, berries, tomatoes, watermelons are rich in essential vitamins and minerals and have strong anti-oxidant properties which helps to increase platelet count. The extract of papaya leaf works wonderfully to increase platelet count naturally. Take two teaspoons of this extract twice a day. (i)Avoid Alcohol and caffeinated beverages because they can further drop your platelet count. (ii)Stay away from unhealthy and refined foods. (iii)Avoid all kinds of drugs that contain Aspirin because it increases the risk of bleeding and low platelet count. Important Note! Natural home remedies do not substitute for medical advice. 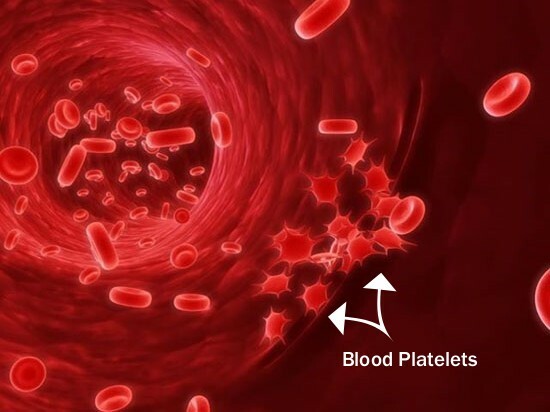 In case of severe deficiency of Blood Platelets you must consult your problem with a Medical Doctor.